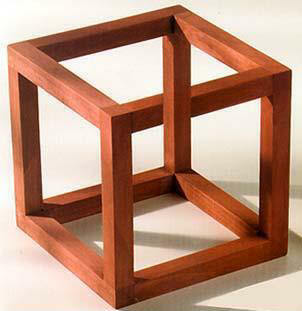 This is a so-called "impossible object." This means that it's impossible to build it. But drawing it is not impossible, as you see in the image. 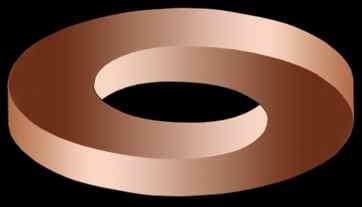 the image to the right is rotating. Perpetually ascending staircase—how can the man go up all the time and come back to the same place over and over? Trying to figure this out can give you a headache! 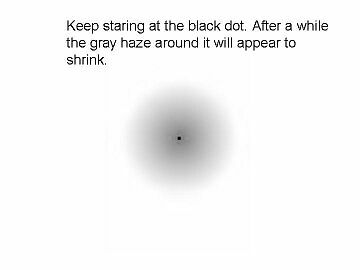 There are only white circles at the intersections. Are the vertical blocks parallel or straight?